3. Understand how the characters meet and greet. 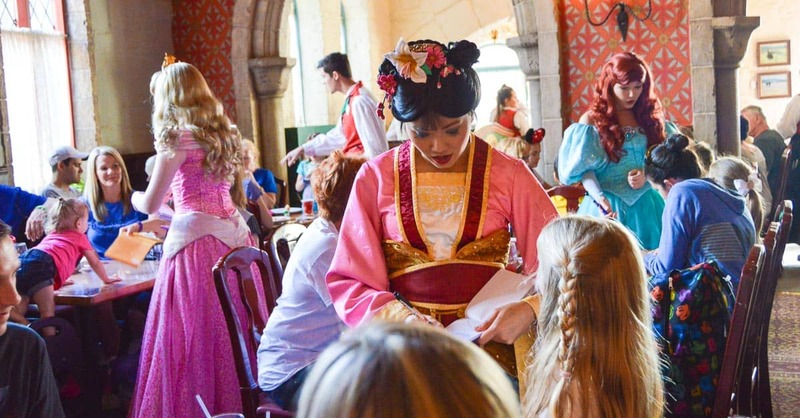 When you arrive at a character dining experience, you will notice characters greeting Guests at different tables. Most of the time, only one character greets Guests at a table at one time. After that character moves on, another character will come to the table to meet Guests and say hello. You may notice that a character is greeting Guests at a table next to yours, and then when he is finished, he may move to another table instead of coming to yours. Rest assured the character has not forgotten or omitted your table. Rather, the characters keep tabs on the tables they have visited, as well as when new Guests arrive at a table. You will get to meet each of the characters that is part of your dining experience, even if it takes a little while for him or her to get to your table. If you have any concerns or questions, simply ask your server or a Cast Member at the host desk.